Import the ISChartboostAdapter_[version].unitypackage to your Unity project. 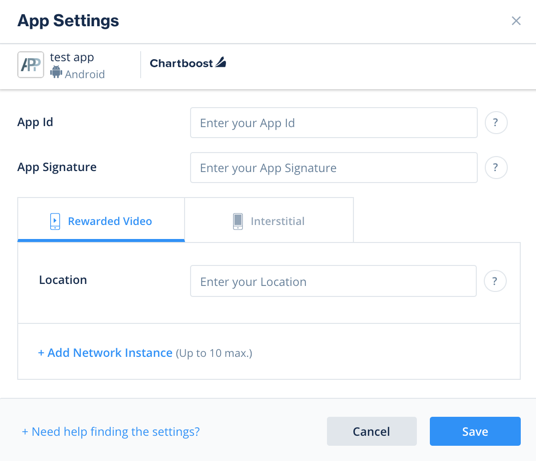 You can find the latest Chartboost Unity Package here. To add the adapter, simply double click on the ISChartboostAdapter_[version].unitypackage and add all files to your Unity project. Note: If you are upgrading from a previous version, please remove Chartboost.x.x.x.jar from Assets/Plugins/Android/IronSource/libs. Note: If you are upgrading from a previous version, please remove Chartboost.x.x.x.framework from Assets/Plugins/iOS/IronSource.